Ep. 1.42. Ash and the gang arrive in the windswept and dusty ghost town of Dark City. Streets abandoned, furtive citizens warily peeking through their windows, afraid of the dreaded… pokémon trainers! In Dark City there are two gangs brawling for the chance to become an official gym. The residents of Dark City are now suspicious of trainers in general. In defending themselves (and condemning the Yas and Kaz gangs), Ash, Brock, and Misty are forced to articulate what really defines “good” and “bad” trainers. The show has really danced around this, claiming that there’s a difference while actually showing that, often, there really isn’t anything separating the good from the bad except for how good one is at describing selfishness in a way that makes it sound okay. When he’s explicitly asked how to be a good trainer, can Ash give an answer? Ash seems to get the gangs’ desire to become official gyms. As Ash himself says, “Becoming an official gym is a big honor.” The issue isn’t the motivation but the way that the gangs are endangering the town and causing property damage. Misty tsks and says that their battling is “more like a streetfight!” An issue of methods, not motives? Later, though, the boss of the Yas gang asks, “What faster way of making money is there in today’s world than by becoming an official pokémon gym?” Eschewing the sanitized discourse of honor and prestige is crossing a line, and Ash practically yells, “Pokémon are not just tools for fighting or making money!” Fair enough, but what are they, then? It isn’t clear, since the weighty discussion of the ethics and cultural value of bloodsport is interrupted by a battle involving ketchup and pikachu tears. And you know what? I get it. Street battles are dangerous. The thugs all have big, scary ‘mon who cause a lot of damage, but honestly, the battle between the gangs, when we really see it, doesn’t look that different from any other battle, just… slightly less controlled? The battle’s real difference from sanctioned contests is that it damages houses and scares civilians. Ash may claim that the gang members “don’t have the right to be called pokémon trainers after what [they] made [their ‘mon] do;” but what is that, exactly? How are the gangs’ pokémon any worse off than Pikachu was after that battle with Lt. Surge? Battling, even in an official gym, can be brutal. Physical pain can’t be the line they’re crossing. Ash, Brock, and Misty are also upset because their own reputations are threatened. When they see a street fight, Brock frets, “If this keeps up, people will think all pokémon trainers are dangerous!” Later a gang member tries to recruit Ash and co., and Ash worries that their “reputation as pokémon trainers” will be damaged. “Bad” trainers threaten to undermine the institution and put all trainers in a bad light. Ash: Well… you see… pokémon are really our friends so … we’ve gotta be kind to them. Kaz Leader: But what about pokémon battles? Yas Leader: With all your strength? Isn’t that the same as fighting? Ash: No, no, not at all… sure you try to win but you don’t try to beat each other! Brock: Ha, what is Ash trying to say anyway? Misty: I don’t think he knows himself! Ash: Now first, you’ll have to fix everything you broke in this town! So while Ash says that “pokémon are not just tools for fighting or making money,” his best piece of advice to the gang leaders is to use their pokémon as literal tools in the service of Dark City’s wider community. Harm to pokémon was never the issue. Using non-human bodies for reasons that are too openly selfish and unregulated threatens the human community and is therefore “bad.” Good trainers are also good citizens, in line with the regulations of the League and the best interests of Kanto’s economy. The League is, more explicitly than ever, an economic institution, and the discourse of battling serves Kanto’s economy. Endnotes: What’s the show saying? So what’s the “message” takeaway? The anime is ostensibly about friendship, living with difference, navigating tricky relationships, learning. In cases like this, though, actually thinking through the implications of the show (and let’s be honest, I didn’t even have to go very deep), we see first that the “official” discourse–that battling increases friendship, that battling isn’t violent but interactive, that “good” fighting is about learning and “bad” fighting is about winning, that “good” trainers don’t “use” their ‘mon–is pretty hollow, and that there isn’t much difference between “good” and “bad,” at least not for the bodies being used as tools. Non-human bodies are used for entertainment and economic gain, and you can change the language and context all you like, but that material reality is the same even if the human attitude toward it isn’t. Pokémon as a show, then, is either about how discourse shapes the world, is inescapable, and can blind even otherwise decent people to harmful and enabling contradictions in social institutions and narratives (the cynical/honest reading); or, about how our attitudes justify the means. To put it another way, Pokémon as a show is either about how non-human bodies and needs are erased/ignored/abstracted by discourse; or about how our intentions justify those bodies’ treatment, regardless of how close it comes to forms of treatment deemed, in other contexts, cruelty. The moral: when writing a plot that hinges on what makes good guys good and bad guys bad, maybe address the fact that your protagonists are set up as the authority on good/bad but can’t articulate the difference. It’s a weird, gaping hole. The hinge of the plot of the episode is left hanging. Basically, I’m ruining my own childhood. Yay? New thing, just fyi–I’m going to start putting the main conclusions in bold at the end of each long-form post as a sort of TL;DR.
I’ve talked before about the faux-wilderness space of Kanto. The hardship of a badge-collecting journey is a form of education–remember how the private school, Pokémon Tech, is an accepted substitute for the badges? It may also be a test of a trainer’s worthiness. That said, Kanto’s rugged land is engineered to be challenging but accessible, a rigorous way of learning to be a trainer that’s open to all. What about the cities, though? There are some interesting visuals of Ash, Brock, Misty, and Pikachu in urban space that frame Kanto’s cities as more confusing than the rugged space in between them. 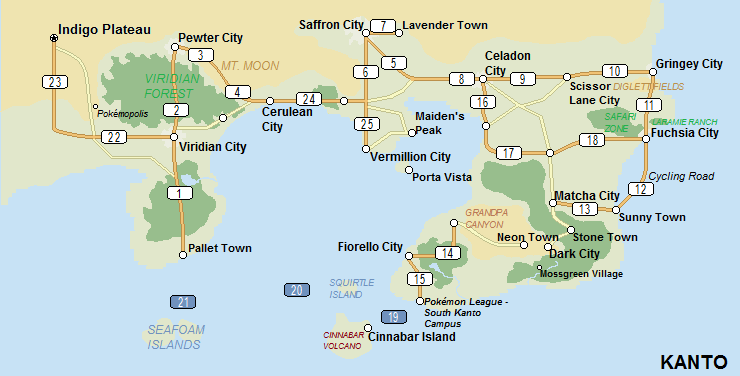 A little clearer but slightly less gorgeous is this roadmap created by a user of Serebii.net. There’s a lot of space between and around the cities. This makes sense–the faux-wilderness serves as a standing reserve for wild ‘mon, like pastureland for lightly-tended livestock. Ash and co are always overjoyed when they reach a city, often because they’ve been wandering lost for weeks. “Lost,” though, not in the sense that they were wandering the woods fearing for their lives, but rather in the sense of being unsure of exactly what footpaths they were on. Although when they reach Vermilion they haven’t “had anything decent to eat for three days,” they still seem to have had something. Vermilion offers them a wash, some food, and a place to sleep that isn’t the ground, but they don’t seem to have been in real danger. The images show Ash, Misty, and Brock in Hop Hop Hop Town (a suburb of Celadon) and on their journey en route to Vermilion. Notice how they look at least as confused in Hop Hop Hop as they did in the forest. In both images Brock is studying the map, the others looking vaguely confused. The perspective is different, too. While the characters seem small from an overhead view, it also gives a sense of depth to the forest and a sense of space. In the city, note the frequent use of low perspective and the claustrophobic feel of the background to create a sense of the looming surroundings. The scenery of the urban spaces is far more overwhelming and, paradoxically, limited than any forest we’ve seen. In fact, the first dialogue in ep. 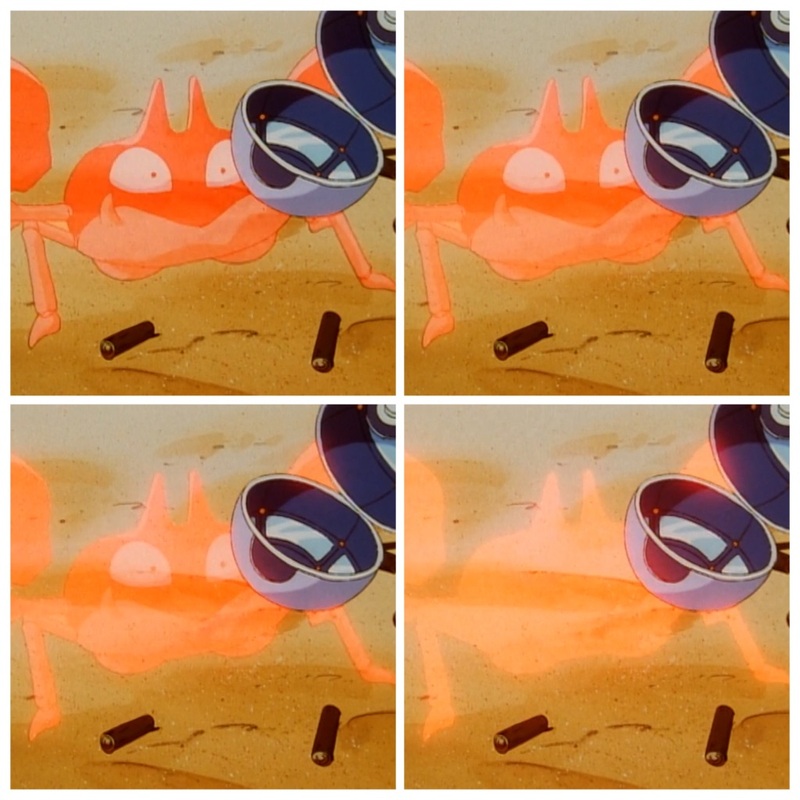 1.27 (spoken along with the top image in the collection at the left) is about how lost they feel, even though they’ve just left Celadon and are obviously on a main road. Ash: I feel like the buildings are closing in on us. Misty: Yeah, and they’re all so tall you can hardly see any sky. Usually, in our world, when urban space is described as claustrophobic, it’s also easily navigable. You feel trapped and isolated, but usually you know how to get around, with street signs and subways and taxis. The wilderness, in contrast, is huge and free from social constraints and refreshing, but also, in this binary, prone to swallowing you up in its un-navigable vastness. This isn’t how it goes in Kanto, though. The city is still a place of advertisement and consumerism in Kanto, but look at these pictures of advertisements from ep. 1.28, “Pokemon Fashion Flash.” Note all of the pokémon images used. We’ve seen similar advertising and pokémon-branded products before, including Cerulean coffee and Mt. Moon spring water. It all refers back to pokémon bodies, explicitly, and those bodies are acquired outside the city. The fact that urban advertisements so clearly, consistently refer to pokémon bodies, and the fact that Ash often feels pressure to continue his travels in order to catch more pokémon (and feels like a failure when he’s told how few he’s acquired in comparison to Gary), indicates that in Kanto, nature is a place where consumerism happens. 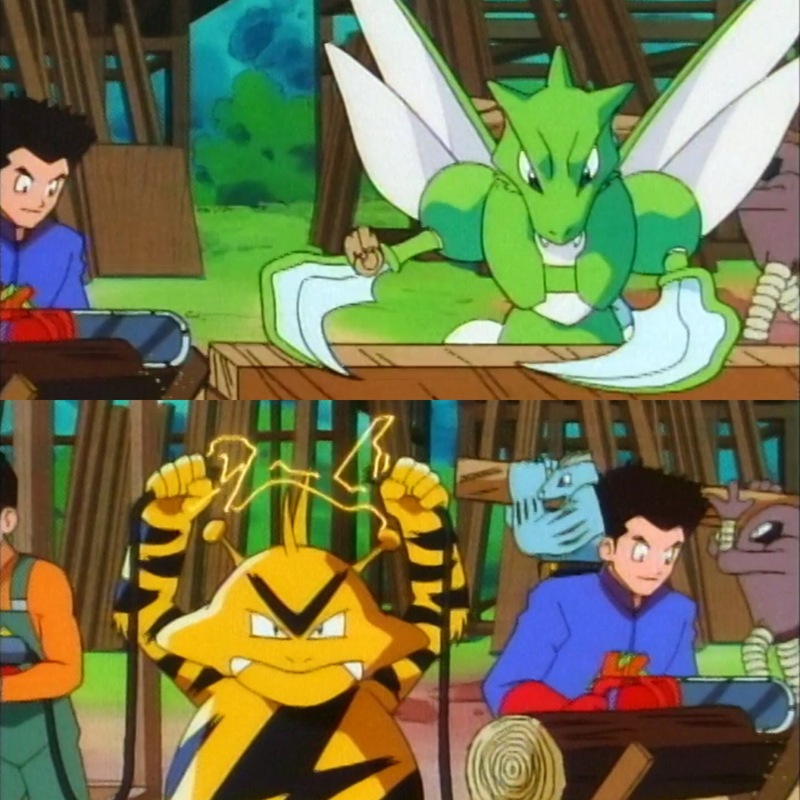 In Kanto, “Nature” is not a place to escape capitalism but where you go to get the materials (bodies) you need to participate in the competitive system. Bodies and nature are explicitly thought of as capital. We see this in the way Ash evaluates each new location based on what bodies if offers him.2 The cities, in contrast, are places where the characters go to refresh themselves for a short time before returning to the hard work of their training journey. The cities offer food and rest but are confusing, more human but no more navigable than the accessible wilderness where Ash and co. spend most of their time. So this time I actually think this reflects in a significant way on our own world’s ideas of human and non-human space. I mentioned before how everything is commodified, and you only have to look at the kerfuffle surrounding drought-stricken B.C.’s sale of water to Nestle to realize that oil, water, trees, everything is bought and sold all the time. We still like to think of “Nature” as a place where we can get away from the ravages of capitalism and consumerist drive, though. It’s nice to imagine, fantasize that this is possible. We maintain this social fiction that there are non-human spaces, but we do so less and less as the century progresses. Just look at the rhetoric surrounding the recent creation of the world’s largest marine reserve back in September of 2014. The project’s motivation was presented, not as a desire to protect our nonhuman neighbors from our own avarice (which should be an end in itself) but, in the words of U.S. Secretary of State John Kerry, “a responsibility to make sure. . . the future has the same ocean to serve it. Not to be abused, but to preserve and utilize” (“Marine Reserve”). Protecting this area of the Pacific must be justified as protecting a commodity or a product. I would suggest that as the permanence of the world as we know it becomes more uncertain, and the rarity and value of natural commodities rise accordingly, our culture is more explicitly beginning to talk about water, animal bodies, oil, etc. as things with an inherent value, a price tag. Nature, in our world’s increasingly neoliberal paradigm of thought, is becoming more explicitly, as in Kanto, a place made up not of significant non-human others, but of capital and commodity. Kanto’s somewhat flipped idea of urban and rural is our own world’s logical next step. This post is a little less dark, a lot less heavy with theory. Maybe more fun? Idk, hashtag sorrynotsorry for the theory bits, I love that magiCrap. Anyway. Today it’s about unstable and evolving bodies. Pokémon bodies are inherently unstable, capable of/subject to sudden changes of form and abilities. Like really fast, really crazy puberty, basically? Evolution is like if awkward Neville became hot Neville between the first and second movie. It’s one more way pokémon bodies are vulnerable to being changed and rendered into tools against their will, yet it’s also a potentially empowering capability that might allow pokémon to escape certain forms of human control. In episode 14 Ash finally arrives at Vermilion City and challenges his third gym, determined to win a badge in pitched combat. The leader, Surge, is extremely harsh–we see a lot of pokémon being rushed to the ER after a battle.1 Ash challenges Surge and finds that Surge battles with a raichu, the evolved form of Pikachu. Surge laughs at Ash for bringing “a baby pokémon” to the battle, says that “electric pokémon are only useful once they’ve learned all their electric attacks,” and scoffs that Ash should’ve made Pikachu evolve as soon as he caught it. Pikachu is badly defeated and hurt–not in body, Brock says, but in his “spirit.” This is where the good stuff starts. Vermilion’s Nurse Joy offers Ash a thunderstone. Exposing Pikachu to the stone will “make Pikachu evolve into a raichu;” but as Brock cautions, evolution will change Pikachu and, after the transformation, “Pikachu will never be the same.” The fact that we know Ash’s companion as Pikachu (rather than some other nickname) draws attention to what’s really at stake–evolution is a change in identity. They don’t clarify exactly how drastic a change it is, but I’m speculating it’s akin to the regeneration of the Doctor, in which basic memories and skills remain but personality, particular areas of strength, and preferences undergo dramatic alterations. It also starts to nuance battling a little bit. We’ve gotten some advice on type advantage (don’t fight ground-types with electric, e.g. ), but now Ash and Pikachu have to find a strategy to defeat an objectively stronger opponent. With Brock’s help they realize that pokémon who are evolved at a young age have weaknesses in other areas–in this case, Surge’s raichu sacrificed speed for brute power. Pikachu’s ultimate victory shows that battling can be more of an art than the beat-downs we’ve seen so far. Upping evasion to wear down a stronger opponent is a legitimate strategy in the games, too, which is a nice touch. Pikachu’s win also puts into perspective the narrowly avoided, needless, irreversible change of a beloved character. I say change, but I think it would’ve been more like a loss, because in this episode evolution is discussed in fairly aggressive, negative terms. Ash’s choice is whether to “make” or “force” Pikachu to evolve or not, words that draw attention to the power Ash could exercise over Pikachu’s body if he chose. Although most pokémon evolve on their own, some bodies are more vulnerable to rendering than others–not just rendering from material to immaterial but rendering on a genetic level from one identity to another. This sort of power is deeply sinister, creepy, manipulative, even worse than the way Ash electrocuted Pikachu way back when. Evolution can be a violation. I talked in the last post about how the incessant conversions of pokémon bodies (from material to immaterial, e.g.) might make humans see pokémon as bodies that exist to be acted on and altered. The idea of pokémon becomes less of a being, a person, and more a process or malleable substance that can just be rendered into a stronger being, a little bundle of portable energy, or even food for the sake of humans, and in general people don’t find this problematic or unusual because it happens so often. In episode 15 James is tricked into buying a magikarp. It’s a pyramid scheme–the (racialized, Mexican-accented stereotype) swindler explains that magikarp lay huge clutches of eggs, so James can breed more and sell them to people who could breed their own and sell those. James falls for it, then realizes that Magikarp is useless as a battling ‘mon.3 Later, adrift on a raft after a shipwreck, Team Rocket and Ash’s gang consider eating Magikarp. They stare hungrily at her and Ash and Brock fantasize about all the things she could be made into. The really creepy thing, though, is that in fantasies Magikarp still has her head and tail. We don’t just see “food,” we see magikarp-as-food. This is why I think that the changeable bodies of pokémon may create a certain lack of empathy in people’s minds–even the compassionate Brock can easily imagine turning Magikarp into food while still clearly thinking of her as a pokémon, despite the fact that we have clearly seen that pokémon are persons with complex subjectivities. After they realize they can’t really eat Magikarp (“The moment of tooth!” cries Meowth as he bites down on her, only to find his teeth chipped against her bony plates), James kicks and berates her for being completely useless. James’s abuse is the final straw, the catalyst needed for her spectacular and disastrous and magnificent evolution. It’s honestly quite wonderful. The poor magikarp, sold as a baby machine, dismissed as useless, nearly eaten, physically beaten, has within herself the power to become something seriously terrifying, the fearsome and glorious gyarados. Evolution isn’t necessarily something that can be done at will–Magikarp probably would’ve become a draconian goddess of the depths long before now if she could have. It is, though, something that Magikarp does, not something that someone does to her. The unstable form of her own body is here an empowering potential that allows her to escape an abusive situation and take her own revenge on her own terms. You go, li’l fish. Ultimately, the implication of evolving bodies is that there is a deep ambiguity in any relationship with pokémon. 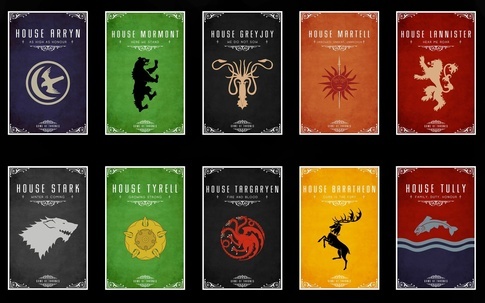 Almost all are capable of a drastic change in power and form and identity. This sometimes opens pokémon to further control and violation; but it also, potentially, disrupts the power exercised over a seemingly “useless” pokémon like Magikarp. She has the dangerous, lurking potential to become too powerful to control, to instead turn the tables on humans. So maybe pokémon bodies still resist. Even in a world in which control over bodies is nearly inescapable, this instability makes human control uncertain. After my playful but legitimate conspiracy theory, this post is some Very Serious doings. I want to explore how pokéballs and the technology of digitizing/dissolving bodies makes the exercise of biopower nearly inescapable in the pokéverse. The more time I spend thinking about it, the more this world becomes a techno-dystopia that has hidden all visible appartuses of control and normalized some pretty problematic practices. pokémon, a krabby. 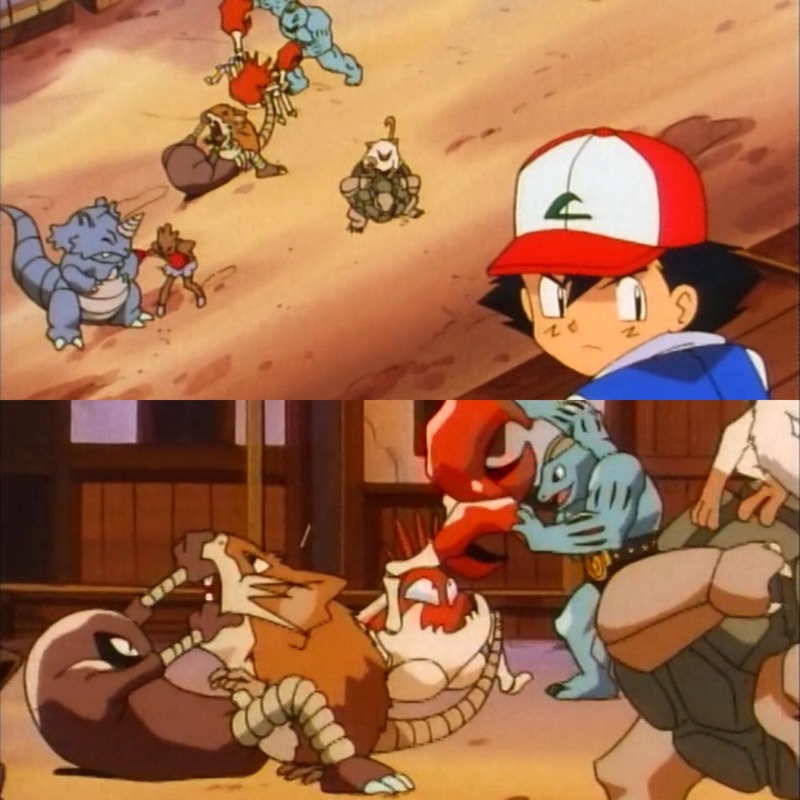 The colors and shots are dramatic—the slow-motion “battle,” seen at the right; then a tight focus on Krabby as it dematerializes and is encapsulated by Ash’s pokéball; then a final tight shot of the pokéball as it dematerializes with a blinding light, transported back to Oak’s lab. This is a good place to think about the implications of the way pokéballs act on pokémon bodies. Shukin’s project is to point out how and why rendering tries to hide the bodily origin of ideas and products. Shukin draws attention to the living bodies we use/consume because that distorts the seemingly “painless transmission” of animal-into-product/symbol. It distorts the rendering process because thinking about how and why we render bodies changes how we think of the easily-consumable idea or products we’re used to. This changes how we see things because, as essential and universal as they are, bodies, with their squishy and vulnerable materiality, terrify us–hence the popularity of body horror films like Alien, The Thing, etc. We (well, not me, but others) want to eat a hot dog without thinking about how that hot dog is the conceived, birthed, living, feeling, nurtured, slaughtered, butchered, ground fleshbits of a pig. Yet that body was real and, when we find unprocessed, recognizable bits of a corpse (like a foot in our chicken nuggets), we see the body that was behind the product all along. We realize that something had to die and bleed before we could eat it. This scares us. Gods help the beef industry when an outbreak of mad cow disease reminds humans of that living, vulnerable, threatening otherness of the bovine body that was rendered into the ground chuck that made their Memorial Day burger. Making it clear that all products and animal images are contingent on the body emphasizes that, as Michael Hardt and Antonio Negri write, “bodies resist” (Commonwealth 31). Bodies resist at the most basic level by demanding a lot of work to make them into anything else, by reminding us of their otherness in unexpected ways. Shukin says that the “neoliberal fantasy” is one of transcending the undeniable, fundamental stubbornness and messiness of physical materiality; she calls it fantasy because that transcendence isn’t possible in our world. In Ash’s world, though, the physicality of the body is far from fundamental, and resisting the rendering action of biopower is more difficult. In the pokéverse bodies are easily dematerialized, stored away, transported. The close-up of Krabby as it is caught makes it clear how immaterial technology can render the body in this world. Before it disappears it becomes translucent energy and then, ultimately, loses its form altogether. This tech, whatever it is, allows humans not only to control and carry their pokémon but to disembody them completely. It does away with many aspects of messy materiality. I noted from the first the way the pokémon world is obsessed with not only the bodies but the images of pokémon. The way humans think of pokémon is mediated by products and visual presentations–a discourse that presents pokémon as creatures to be loved and admired, but also used. Ash’s journey is often about the discovery that some pokémon don’t want to be controlled outright, that they attempt to act on their own terms; but I wonder if the dematerialization technology makes commodification, abstraction, and reduction of pokémon to objects more difficult to question. In Kanto everyone is rendering pokémon bodies all the time, dematerializing and reassembling them constantly. The constant disintegration/reiteration of pokémon bodies means that materiality isn’t a fundamental, shared experience that can prompt empathy–human bodies seem to remain intact, but pokémon are convertible, portable, easily storable; they are, in the end, conveniently useable. The non-human body is no longer a troublingly material fact. Well, I lie, because even the digital or energized signal is always dependent on the material. Somewhere there must be hardware. Somewhere, in some lab, there are pieces of physical machinery that enact these digitizations. Pokéballs are hardware; but even then, pokéballs aren’t consistently physical, as we see after Ash catches Krabby. Pokéballs can be teleported from one place to another instantly, regardless of location. Pokéballs even change size, from a conveniently portable ping pong ball during travel to a baseball during use. Even the materiality of the hardware is unstable and uncertain. This is a way of controlling not only pokémon but interactions with those pokémon—the transfer of Krabby to Oak’s lab is automatic, so somehow the pokédex or Ash’s pokéballs are able to communicate with each other and with some machine hidden away, which is then able to transport that ball from any location. Ash is only allowed (by the League?) to have so many ‘mon with him at any point, which means that the balls are somehow registered to Ash specifically, possibly through the pokédex (which, as we learn in ep. 2, is somehow irreplaceably biolocked to him and only him). Ash and his pokémon are read and identified somehow, branded, not on their skin, but (presumably) on their genetic code. Here, bodies, at the most basic material level, are identifiable, readable, and manipulable from afar by invisible machinery. In the end, we have to conclude that, to the pokéverse’s technology, physical bodies are nothing but sets of numbers and data to be identified, tallied, balanced, transmitted. Just as I speculated that the environment is completely controlled and created by powerful and invisible technology, so are the bodies of pokémon at the mercy of hidden mechanisms to which physical distance seems to be no object. In Kanto, biopower is inescapable. Pikachu, though… Pikachu does something exciting, as I’ve noted before. By refusing the pokéball, Pikachu resists the basic form of control. Maybe he couldn’t refuse unless Ash allowed him to—after all, he was in a pokéball in Oak’s lab; but even there he was in a special, physical storage space, maybe to keep him from breaking out? If Pikachu can come out at will, why don’t more pokémon?2 Regardless, Pikachu values the solidity and materiality of his own body, resisting battles that intimidate him and refusing to be dematerialized even when doing so would protect him from physical danger. Pikachu reminds the world that “bodies resist,” at least as long as they’re actually embodied. On a final note, the uneasiness I’m feeling isn’t just me reading into things; Ash feels it too. Krabby’s sudden, unstoppable transportation troubles him, and he spends the next ten minutes worrying about Krabby, wanting to verify where Krabby is, that Krabby is okay, wanting to actually see Krabby once he discovers Oak has it back in Pallet. Even though Ash has, by now, lots of experience with dissolving bodies, in this case the krabby was taken without his consent, and this defamiliarizes the process, makes it more startling. When he assumes Oak has eaten Krabby, Ash shows a sudden awareness of a pokémon’s vulnerability to being broken down and rendered into something portable/usable/consumable. Phew. Heavy stuff. I’m not sure I made even one joke in this entire post. I guess, though, dystopian Pokémon isn’t a very funny topic? Anyway, Friday we continue the theme by exploring the implications of pokémon evolution!